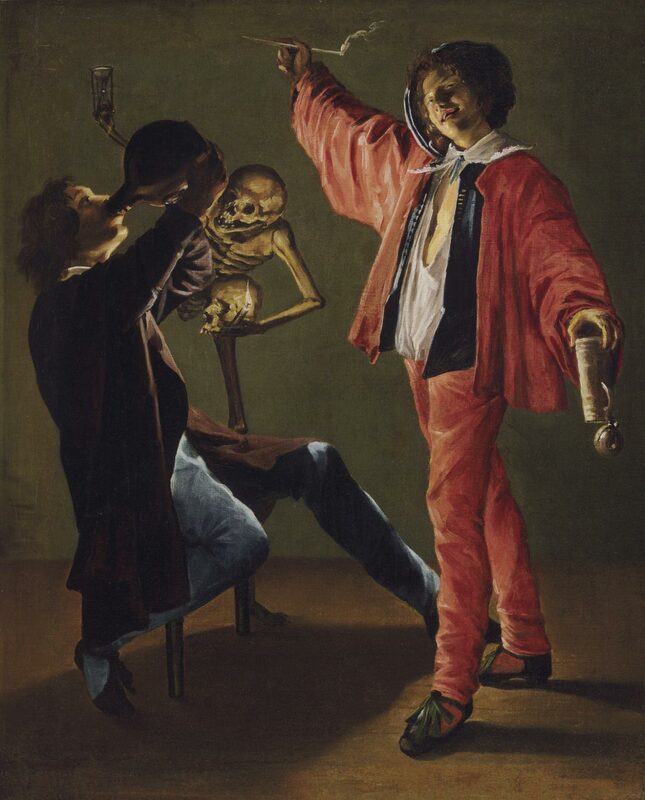 The costume that the standing figure wears over his clothes suggests that the setting is vastenavond, the night before the beginning of Lent, when people frequently went on binges in order to prepare themselves for fasting and abstinence. This painting speculates on the consequences of such overindulgence. In their dissipated state, the gay cavalier and his companion ignore the menacing presence of the skeleton, which bears an ominous hourglass in one bony hand and a skull in the other.